The i40 takes styling cues from Hyundai's 'fluidic sculpture' design language with signature features such as a hexagonal grille. Hyundai has released pictures of its new i40 mid-sized model that will compete against cars such as the Volkswagen Passat, Ford Mondeo and Opel/Vauxhall Insignia in Europe's upper-medium segment. 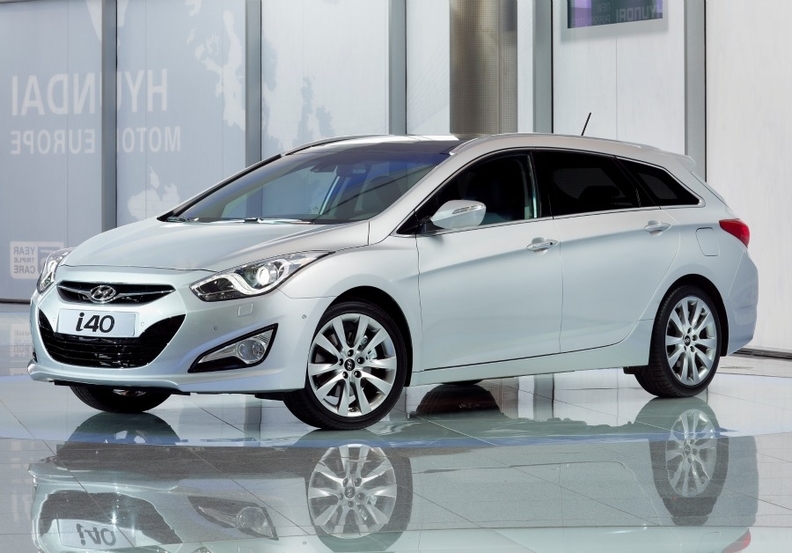 Hyundai says the i40 represents the company's new "modern premium" market positioning aimed at making upscale features available at accessible prices. The company said the car will offer high-end features as standard equipment, including three segment 'firsts' -- heated and reclining front and rear seats, a heated steering wheel, and an active de-mist system that automatically detects and clears mist on the windscreen. The i40 will debut at the Geneva auto show as a station wagon. This will be the first i40 body style to be introduced to Europe, with a sedan to follow later this year. The car was designed and engineered at Hyundai's r&d headquarters in Ruesselsheim, Germany. 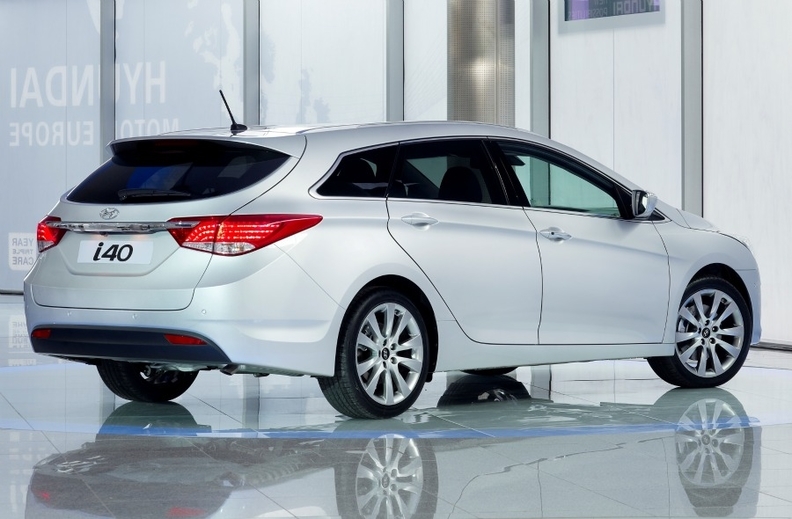 The i40 will go on sale first as a station wagon. Among engine options are a fuel-efficient 1.7-liter diesel engine that has CO2 emissions of 113 grams per km. The i40 will be sold with the carmaker's five-year warranty package as standard. It will be joined in Geneva by the new Veloster three-door coupe and the Curb compact crossover concept. Both were first unveiled at the Detroit auto show in January.